Hi! I’m Loki! 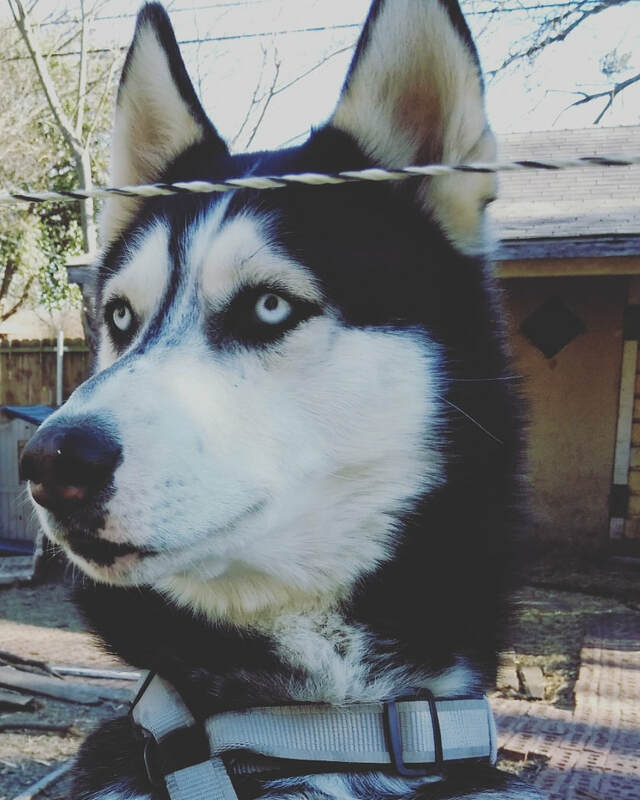 I’m a handsome Husky rescued from some people who wanted to sell me as a breeder, and now I’m living in Texas with a wonderful person who is helping me search for my perfect forever home. Not only that, but she’s offered to transport me to Colorado, Washington or Oregon when my forever peeps are found who can offer me a Husky-ready home. Could it be you? I’m about 2 years old and up to date on my doggie shots. I’ll need some housetraining as my former humans never taught me about that kind of stuff, but I’m willing to learn. I’m not a fan of cats (so no kitties in my adoptive household, please and thanks). And hey — I love other dogs and I’m totally loving being part of the doggie family in my foster home. My awesome foster mom says I’m a great dog, and with continued positive training I’ll do really well.